One of the greatest sources of strength for Christians derives from their relationship with the Holy Spirit. Even before Jesus ascended up to Heaven, one of the promises He stressed was the coming of an Advocator that would be with us forever, guiding us daily and empowering us in a holistic and myriad of ways. One of the most important ways the Spirit help Christians is as the Spirit of Truth, providing us with the gift of discernment (John 14:15-17) Yet, despite the importance of the Holy Spirit’s role in our lives, many Christians today are still confused about the Spirit and some even feel that His presence was applicable only to a specific time. Recently, Pr Calvin Lee of Kajang Assembly of God gave a comprehensive and instructive sermon about the Holy Spirit and His role in the lives of Christians. Before going into his sermon, Pr Calvin shared that throughout the Bible, from Genesis to Revelations, we see clearly that without the Spirit of God, there is no life. One of the most powerful passages of the Bible is found in Ezekiel’s account of his experience in the Valley of the Dry Bones (Ezekiel 37:1-14) where dry bones were given life through the Spirit of God. The First Man and Woman were given life when God breathed His Spirit into them (Genesis 2:7) and 1 Corinthians 15:45 tells us that The Last Adam is a Life-giving Spirit. Furthermore, we also see numerous times that victory often came through the power of God’s Spirit, sometimes against seemingly-impossible odds. No Christian would argue against the significance of the account of Pentecost found in Acts 2. This event was a realization and fulfillment of Jesus’ promise in John 14:15-17, and it went a step further from anything beforehand. The first Pentecost did not only bring life, it brought a whole new dimension, purpose and role to the disciples and others who were in that room on that day. The central question, however, would be this; was the event meant for that specific time or does it have relevance in our contemporary lives? Is Acts 2 just a historical account? Pr Calvin shared that the Pentecost in Acts was a past event but it has been brought to present reality. One of the most well-known accounts of the manifestation of the Spirit occurred in a great revival at Azuza Street that began on April 9 1906 and continued to 1915 (http://en.wikipedia.org/wiki/Azuza_Street_Revival#References). This was an event in Modern times, close to 1900 years after the Pentecost in Acts. The Book of Acts has a role as a historical record, but beneath all the questions, History also plays a role as anchor and this anchor lies in God. Our security is still the same as it was back then, and the same God still anchors us in an ongoing trust, dynamicism, and thrust. 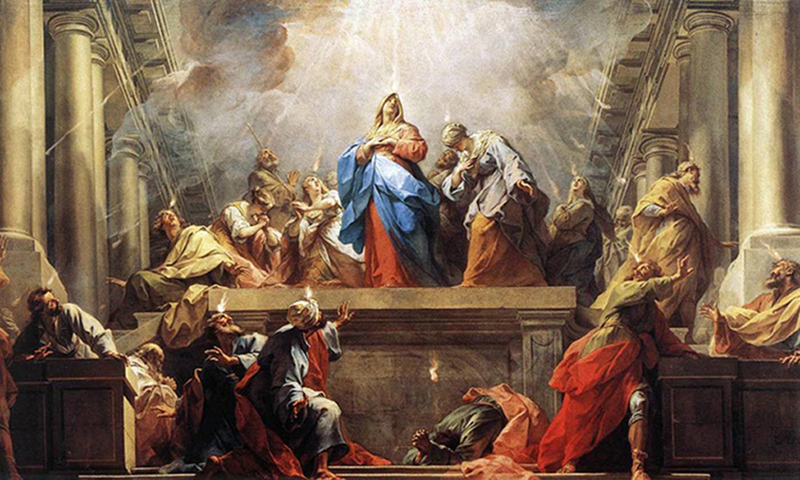 The account of Pentecost is still applicable today. There is much significance for why the Spirit is manifesting in our modern times. Firstly, it characterizes our times as the Last Days according to prophecy, and that there is an urgency, but also, encouragingly, an increasing torrent of the mighty movement and work of God. Secondly, the dynamics of the Holy Spirit is to enable the fulfillment of Acts 1:8, which is not limited to the Book of Acts but to all Christians. There is an active element here, and that is to glorify God, to the fulfillment of His sovereign purposes and plans. While the question often crops up about whether there is a need for every Christian to fit the Acts 2:4 pattern, Pr Calvin shared that the question should rather be why would anyone want to be a spectator? God has called everyone and the infilling from the Holy Spirit is open to all believers. The second topic of concern is about the need for the Holy Spirit. Foremost, it is actually a direction from God (Ephesians 5:18; John 7:37-39). Jesus says in John 7:39 that the infilling by the Holy Spirit is for “whom those who believed in Him were later to receive”. This meant that the baptism of the Holy Spirit was not referring to those needing salvation, but to a subsequent experience from salvation. 37 On the last and greatest day of the festival, Jesus stood and said in a loud voice, “Let anyone who is thirsty come to me and drink. 38 Whoever believes in me, as Scripture has said, rivers of living water will flow from within them.”39 By this he meant the Spirit, whom those who believed in him were later to receive. Up to that time the Spirit had not been given, since Jesus had not yet been glorified. Pr Calvin also pointed out that the words in association with the Holy Spirit (outpouring, baptism, fill, flow..) describes a thoroughly soaking experience. There is a dynamic implication here that in addition to us soaking in His presence, the Spirit wants to saturate Himself in us. Worship through the aid of the Spirit is not just an emotional experience from the soul; it reaches deep down into our spirits. God wants to deal with our innermost core. There is also a purpose to the baptism of the Holy Spirit itself. 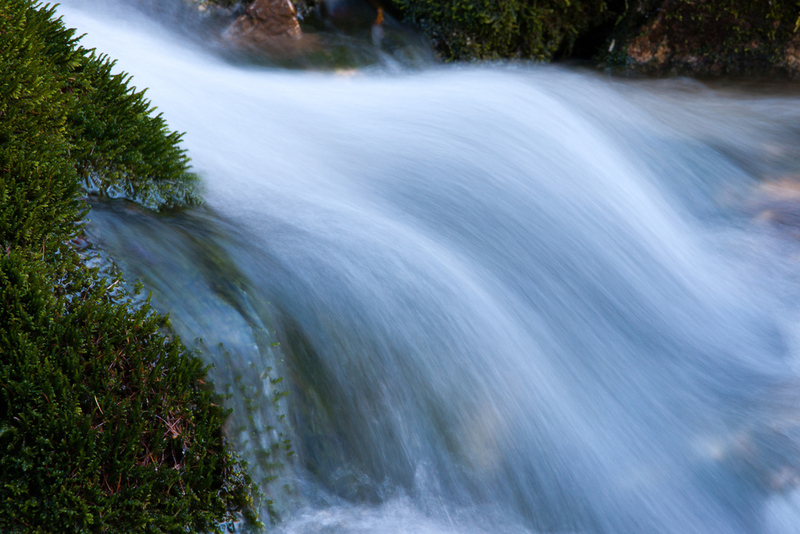 Where the Spirit comes, out of our innermost core will flow surging and powerful rivers of living water (John 7:38). The river brings vitality and life and Godliness, and draws us nearer to the character of God. It flows in 3 directions; a river of praise that flows upwards, a river of evangelism that flows outwards, and a river of inward edification that flows inwards. The baptism initiates us deeper into the Spirit’s mission, and propels us into two areas of the Spirit’s undertakings; worship and work. Countless examples have shown that the work of God cannot be done without the baptism or aid from the Holy Spirit. There is a spiritual battle we fight every day, and our strength comes from the Spirit of God. The concern of the Spirit is to give us victorious lives by drawing us deeper into worship and relationship with God. Beyond the upward and inward flow, there is also an evangelistic element to the baptism of the Holy Spirit. The ultimate concern for Christians is to spread the Good News, and this is done through the empowerment and purpose given by the Holy Spirit. Through the baptism, there is a new-found and growing earnestness and desire after the work of God, and it shatters complacency in a Christian’s life. The relevance and role of the Holy Spirit in the lives of Christians is all-encompassing. Besides sharing about the relevance, need and purpose of the Holy Spirit, Pr Calvin also shared about the initial physical evidence of the baptism of the Holy Spirit, how believers can receive the gift of the Spirit, and what the Body of Christ can do to help.